Chinese lady and her servant costumes. Home » Chinese lady and her servant costumes. 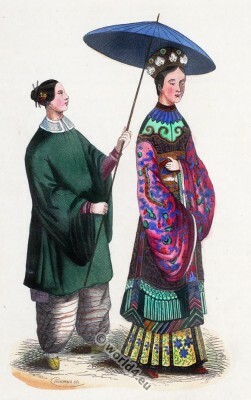 Chinese lady and her attendant. Dame Chinoise et sa suivante, 1834. This entry was posted in 19th Century, Asia, China, Nobility and tagged Auguste Wahlen, Traditional Chinese costumes on 2/17/15 by world4.